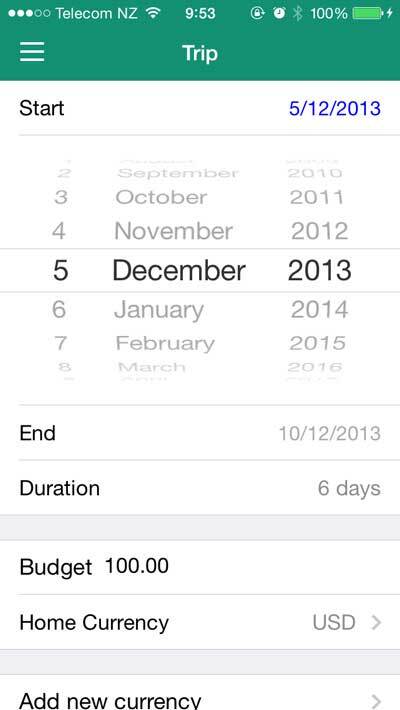 Anyone already done an ios7-style date picker in @xamarinhq .ios? If not I guess I need to write one. UPDATE: My apologies to Kraig Spear - he was the one who originally provided the code. Sorry for mis-crediting it! I think I had some similar stuff from Gerry High around the same time. I had few replies, and I think I got a (mostly) working version from Kraig Spear. Glenn Stephens promted me about it today, tho, and here's a Gist with the code. I use it Trip Wallet to edit the dates, tho I need to migrate it to my other apps, too. It is, as far as I know, fully timezone aware (especially fun for a travel app when I live in GMT+13! ), so the date you get back has al the right bits set. Enjoy! Thanks Kraig for the code, and Glenn for the prompt to release it.